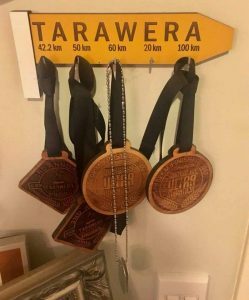 Big reveal from the NZ Trail Runs team with the announcement that BIG CHANGES are ahead for the Tarawera Ultra-marathon in 2019. Original post on their Facebook Page here. We anticipate more announcements and plenty of clarifications, course detail and explanations to come so keep an eye on posts to that page. 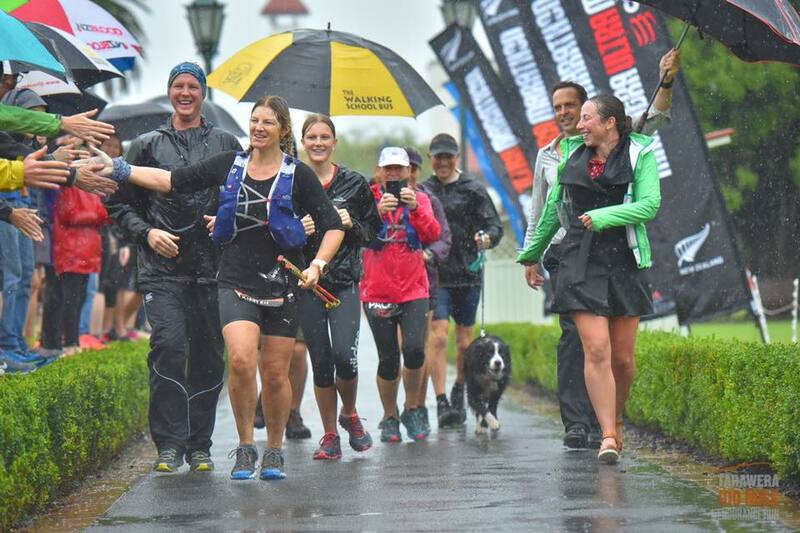 In the meantime we thought we’d take a look at this announcement and what we know with an inside look at what may be the shape of Tarawera 2019. 1. Race week will be 6-10 February 2019. There will be events on from Wednesday all the way through to the end of Sunday. A DATE – FINALLY!!! After the announcement that the popular Tarawera Marathon and 50km would NOT be taking place in November there was loads of talk that possibly the Tarawera Ultra could go into the November slot and be run late in 2019. February presents it’s own issues with a decade of ‘Jekyll and Hyde’ racing in ‘unpredictable’ weather. Weirdly the weather is typically super settled in February however the weather-gods seem to give us respite one year only to punish the heathens the next. The good news is that we’re due a good year and my pick is we won’t be turning Western Okataina into a ‘Great War’ trench again. 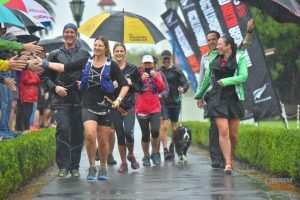 This race could have gone literally anywhere in the calendar and Tarawera has enough swag to just go wherever it wants – but it didn’t. There’s possibly a little more in the ‘why not?‘ that we could read into… so lets! Possibly because it would be hard for the kiwis to train through the winter months. Possibly because Tikitapu may still remain on the TM50 weekend mid-Nov. Note no announcement about Tikitapu in this post. Probably not November 2019 because it would have meant something like 18 months between delivering events for the NZTR team and that can’t be easy on anyone’s mortgage. Probably not November because Paul is going to be a dad soon (awwwww). Assume that there’s also a factor of avoiding partner/sister events like Ring of Fire and Ultra-trail Australia. …so lots of reasons to keep with the traditional February date despite an abbreviated entry-to-race window. 2. Race entries will open on Saturday 1 September at 11am. Prices will be about the same as last year. Abbreviated entry-to-race window hurt the miler last year. This delayed decision will have been hard to hold on and the traditional date (1 July) for entries will mean less $ in the bank which is never fun for impoverished event directors. What does this mean for Super-early-bird and Early-bird prices and time frames? WE DONT KNOW! I’d subscribe to the Tarawera Facebook Page and start pressing ‘refresh’ on their website. You know you’re going to enter eventually, might as well commit asap aye? Prices – “about the same as last year” I’d anticipate the usual $5-10 adjustments for inflation. This is already a pretty good value event if you dont leave your entry to the last minute. event schedule. This race will be on Friday of race week. It will be truly scenic and take in parts of Lake Okareka, Lake Tikitapu, The Whaka Forest, The Redwoods and Sulphur Flats to Government Gardens. Super simple stuff. Add an ‘achievable’ distance that Mr or Mrs support crew can do the day prior or go for a back-to-back double race weekend if you’re feeling greedy (we know someone will do the double aye Simon Clendon….). Our pick is that the 20km event will be the most popular of all the distances as it is with other races around the continent that provide similar. My advice would be to nab an entry early, this will be the most probable sell-out event of the lot. Of 6000 entrants at Ultra-trail Australia, 3000 were in the Friday 22km event. This event is an awesome way to still be part of the Tarawera festival without flogging yourself with a summer of training. If you have other racing ambition you can probably squeeze the 20 into your wider training plan. AND WHAT A COURSE! Okareka, Tikitapu, the Redwoods to the prime finish-line in town will be wicked. No watered down, low-fat, decaf version of the longer events, 20km entrants will get the full finish line fare and why not? Excited about helping host this one. Super Excited. 4. There is a brand-new 50k event coming next Feb. as well. Expect it to be very different from the existing ultra course. It would be a shame to pull plug on some of the established awesome of the Southern Tarawera trail which in our opinion is the best 11km in the region. And while we’re out at the lake the Buried Village is a MUST so fingers crossed we’ll be back for ‘high-tea’ once again. The crew at Te Wairoa LOVE hosting mad runners so it would be a shame not to drop in and see them again. And what of Woodstock Farm? This was a feature of the retired TM50 and as with the Buried Village, the landowners loved hosting us so all fingers crossed that we get to hit the hills behind Rotokakihi once again. No promises though, with 50km to cover it’s anyones guess where we’ll start and how we’ll get back to Government Gardens but rest assured that if Tim Day has anything to do with it, it’ll be all the best trails with a few surprises thrown in to keep everyone guess (/wet, /hills, / …..?). 5. The 102k and 100 Miler Events will remain largely unchanged from 2018, with the exception that we’ll make the courses and everything about these distances even better (including the weather!). “Largely unchanged” is pretty self explanatory. Good news for Kawerau and the spectacular trails up the falls and along Northern Tarawera and Eastern Okataina. Will the miler get the mountain? As always access is complicated and with talk of a ‘Great Walk‘ going in around the lake there’s a lot of change in the wind for access in the region however it remains a particularly complicated issue. The mountain is an important spiritual part of the people and running on, near, over will never be a guarantee. If there’s changes to the miler course it may be with regard the mountain. Possibly less, unlikely more. Elsewhere – there were a couple of complications delivering the final 40-odd km of the miler in 2018 and a few runners struggled with navigation in the Whakarewarewa forest so possible ‘added’ kms may go early into the day rather than later. This will stretch Rotomahana boat delivery out a bit but if it leads to less people getting lost or confused it might just be worth it. I’m of the opinion that runners should share a common route to the finish from as early as possible and not depart the prime line home but it’s not my course to mark, maintain and deliver. Final thoughts on the 100mi event is that we have to remember that it is technically a separate event that takes place on the same weekend. Part of the major event funding that helps the miler be viable is tied into the fact that it’s not just part of the Tarawera Ultra-marathon suite of events. While this year the miler is partnered with the Ultra-marathon, it may not always be this way. 6. Gone are the 62k, the 87k and all relay options. We wanted to make this event more inclusive by adding the shorter distances, but this means we could not give as much love to every distance if we’d retain those two distances plus relay options (it would have meant nine races to try and manage). We realise that many of you would have had your heart set on those distances. Starting with the 87. 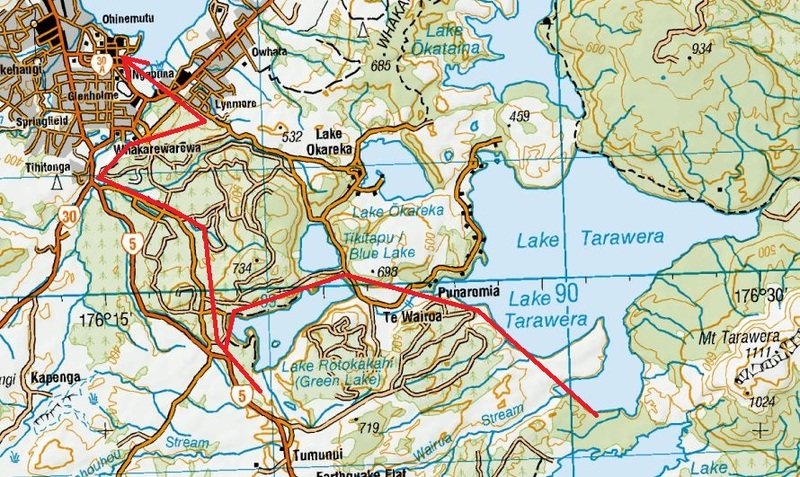 The 87km race was Tarawera legacy that comes from year 1, 2008 when it was the longest course available. Why 87? It was brought in as a 50miler qualifier for races overseas like Western States at a time when there were no other qualifiers in the country. The 87 endured primarily because it was not particularly hard to deliver under the 100km distance and it endured longer because a handful of people wanted to complete a medal set. It is a great distance with way less post-event carnage than the longer courses but it’s gone. On the upside, Kerry Suter Tarawera 87km undefeated course record holder 2008-present. RIP the 62km. This is sad news. This was super popular and it just didn’t make sense next to the 50km. Yes the team could drag crowd barriers and portaloos into the bush and host random startlines but it’s a lot of work. Be cool and understand that they really wanted to give you everything but it’s just not realistic to do so. Sorry. 7. There will be no more pacers for the 102k event. Pacers will still be an option for the 100 miler. Mixed feelings here. There remains very few races in Australasia that have pacers at all. Pacers ultimately cost the event money and access to trails comes with concession costs, aid-stations, race bibs, registration…. at all adds up. I bet Tim can tell you exactly how much but the pacers run-for-free is a luxury we all need to respect and be grateful for. My hope is that pacers will be allowed to join in at Okataina but in the essence of fairness the one pacer should not be allowed to run all the way to the finish as this could potentially be a 50km ‘free ultra’. The format that might work is letting pacer-1 join at Okataina but must tag pacer-2 at some point to split the drag. It’ll depend a bit on what they choose to do with the miler course in the last quarter. Pro-tip, get your pacer an entry into the 20km and say thank you to them and the Tarawera team at the same time. 8. All runners are still free to run the final 5k home with their runner. This is free. In 2018 we managed to get a whole bridal party down the finish chute. The bar is set pretty high. 9. All courses will be published before race entries open. They are not online now. This means a LOT of work for the Tarawera team between now and September 1. Confirming access and distances is a MASSIVE job. Assume the team is already on the phone or on the trails right now. Trail clearing? YOU BET! There is certainly going to be a call to arms (read: orange rakes). Ross Steele isn’t the hero we may want, he’s the hero we need. A trained eye may have noticed that the Tarawera Ultra-marathon is now a 100km / 50km / 20km running festival. A LOT like it’s fellow UTWT event in Australia. This alignment feels pretty good and I wonder if it’ll mean more collaborative work in the future. I hope so! This entry was tagged tarawera, tarawera ultra, utwt. Bookmark the permalink.